This year for my mum’s birthday, I prepared a special gift — a getaway in Lisbon. When I was studying at Lisbon University and she came to visit me, I remember we always had such a great time together. I wanted to recreated those days again. Plus, Lisbon makes my mother happy, she has always great stories and memories about this city, specially from those days before and after the revolution 25 April 1974, when she was visiting her sister, who used to live there. We stayed at PortoBay Liberdade Hotel. We’ve choosen this hotel for several reasons: central location, 5 star hotel services with excellent reviews and a spa. I was overwhelmed by the service and attention to details. We wanted to have the option to relax indoors since it was winter and it might be raining outside, so the local spa with a nice relaxing pool was so convenient. Other good option to stay in Lisbon, is PortoBay Marquês Hotel, which I’ve reviewed previously in this article. Taste the drink “ginginha” at Largo São Domingos – This is an old favourite of ours. This place is busy, day or night. Hop on a panoramic bus tour and visit Lisbon’s main attractions. It’s a 48-hour hop-on hop-off bus ticket so perfect for a weekend getaway. It has two scenic routes. We enjoyed the Tagus circuit, which includes the highlights of Belem. The full circuit lasts about 1h30m with 19 stops. You can listen to the recorded commentary by audio headphones and overview the city from the top deck. Relaxed, easy-going. You can book it here. Enjoy the tiny houses and history of Mouraria. Mouraria is definitely one of my favourite neighbourhoods of Lisbon. It feels like a world away with that typical vibrant atmosphere of Lisbon. 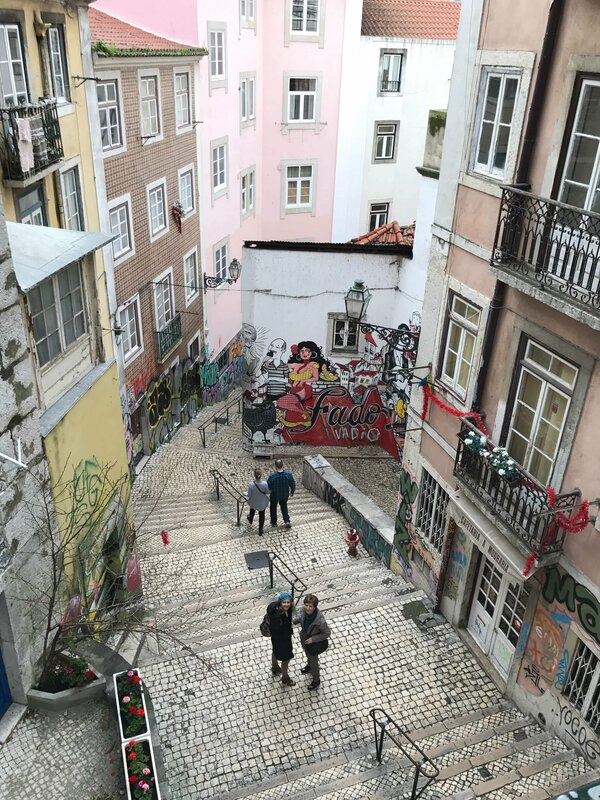 Children playing in the streets, clothes hanging on the balconies, women sitting by the window and fado playing in the distance…Walk along Rua das Farinhas and go down the stairs of Largo de São Cristovão to see some amazing street art. Go Shopping! Here’s a list of some Lisbon shops you can’t miss! Another good spot for shopping is LX Factory – a nice combination of shops, restaurants and stylish class. Places to eat in Lisbon? – Join a food tour. This is one of the tastiest, authentic ways to discover the hidden food gems of Lisbon. Célia Pedroso, author of the book Eat Portugal, was a fabulous guide! During this 3 hour tour, we were able to taste some of the best treats of Lisbon, including amazing wine and the typical “pastéis de nata”. Satisfaction garanteed! – Casa do Alentejo is located in a magnificent palace built in the late seventeenth century which belonged to a noble family. It was once the first casino of Lisbon, called the Majestic Club offering gambling in lavish rooms and luxurious parties. 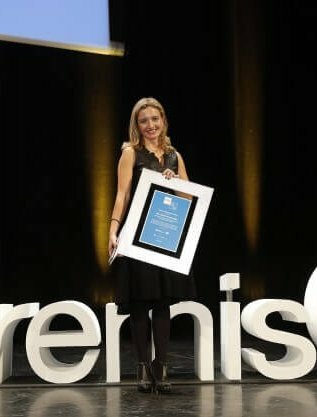 Today it is the headquarters of the Association Alentejo (Region of South Portugal) which promotes cultural and social services related to this region. It has also a lovely tavern serving some of this region’s delicious food. – Share a memorable meal together at Bistrô4! We’ve had a menu prepared by Chef João Espírito Santo, with the orientation of Benoît Sinthon, chef of The Cliff Bay – Il Gallo d’Oro, (2 Michelin stars). (average price of a meal is 35€ per person) I’ll let the images speak for themselves…One of the best meals of my life, for sure! Thousand leaves of salted caramel & creme brulé accompanied by Madeira Wine: Blandy Boal 5 Years. I ‘m so grateful I could share this weekend with a beautiful lady, my mother. I hope it inspires you too. See you soon! My stay at the Hotel PortoBay Liberdade was courtesy of PortoBay, but the views expressed are my own.